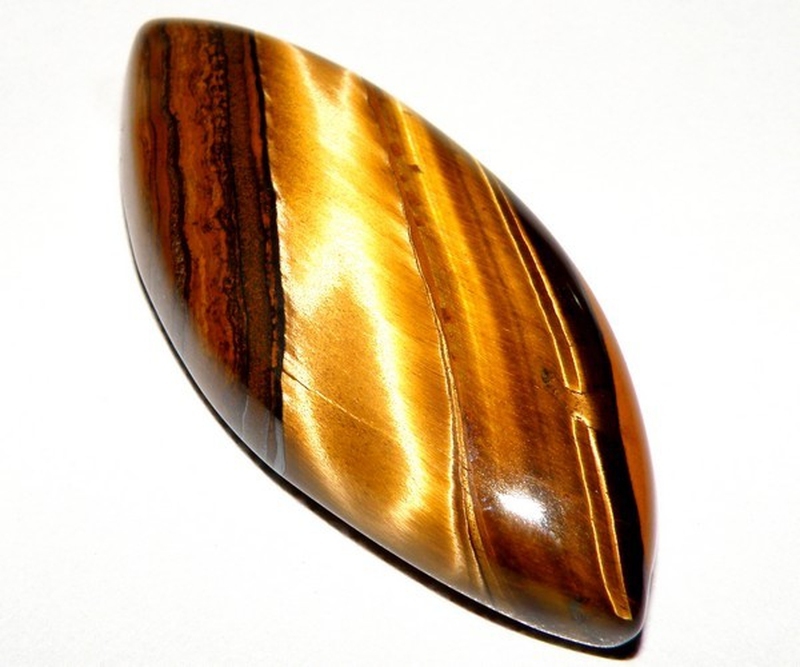 1 What Is Tiger Eye Stone? 2 What Special Meaning Does It Have? With a fierce, dynamic energy, the tiger eye stone is a protective stone, thus called the tiger’s eye! All tiger eye stones represent strength and grounding energy in different degrees, depending on the color—golden yellow, deep red, and anything in-between. Tiger eye stones are also believed to have mystical qualities. Different combinations of colors and dark stripes make the stones even more special. A member of the quartz group, tiger eye stone is actually a type of blue asbestos and silica that is naturally found in quartz. This gemstone is usually cut out of metamorphic rock and has a silky luster. It is usually found to have colors of red-brown to gold; if the gemstone has not completely silicified, it makes a rarer blue color, called Hawk’s eye. What Special Meaning Does It Have? When worn on your person, it is often stunning, catching others’ eye. You will find people compliment often and almost stare in an entranced way. For such a beautiful gemstone, it is inexpensive. Commonly used as beading for necklaces and bracelets, it is otherwise generally found as a pendant or costume jewelry. So easy to find and so many uses–there is no excuse to not have one to better yourself. The tiger eye stone is not just used for jewelry. Many bring its mystic powers into all aspects of their life. Used as a part of Feng Shui, it could be used as a simple wind chime or artistic carving. With its beautiful light-catching qualities, it is often placed in or by a window, or kept by the front door. Like wearing it on your person, a tiger eye stone is believed to bring abundance and protection. If there are kids that keep your mind from rest, use them in their bedrooms, even though they may be unaware it does not take away from the effectiveness. The three main colors found in the gemstone are gold, red and blue. Each of these colors have an aura that is meant to stay with the wearer and be felt by those around them, gold for brightness, red for heart circulation and blue for high spiritual nature. All three coming together give anyone a stronger self awareness and higher mental state of wellbeing. Try to find a stone that has each color clearly defined; it will help each attribute become stronger. Meditation may be the key you need. With clarity and light in your personal aura you will find your days become easier, there is less stress in making decisions, and your personality will come to life and fill every room you are in. Find a place in your home that is full of natural light; allow the light to flow through the tiger eye stone and onto you. It will help with clearing your mind of all that holds you back and allowing free, healthy thoughts and feeling in. Although many see the tiger’s eye as a way to strengthen your inner-being, it should be mentioned there are uses for physical healing as well. If you suffer from physical conditions, such as high blood pressure and asthma, the gemstone will help in physically balancing your body. Many also believe it aids with rheumatic heart disease and psoriasis. Since there are so many styles and powers, how do you know what to choose? Well, first come to terms with your needs, know what you need and you will find it. If you feel negativity pulls you down all day long, find a nice piece of jewelry and keep it with you close to your heart. If you are having financial problems at home, a bowl of beads filled to the rim may be best. Quality counts since it is inexpensive. Why would you want a chipped piece of jewelry or one with a blemish? When seeking power, protection and balance, use pieces that have the colors that fit your needs and shapes that suit your style. Always remember to use what works best for you; if it is a part of your everyday life, you will find the gemstones are more effective.